Actually I have said good bye to it for a few good years nowâ we parted as friends but as they say when its over its truly over!Â We want (I want) cosy, eclectic, luxurious and boho and peppering walls with art does just this. 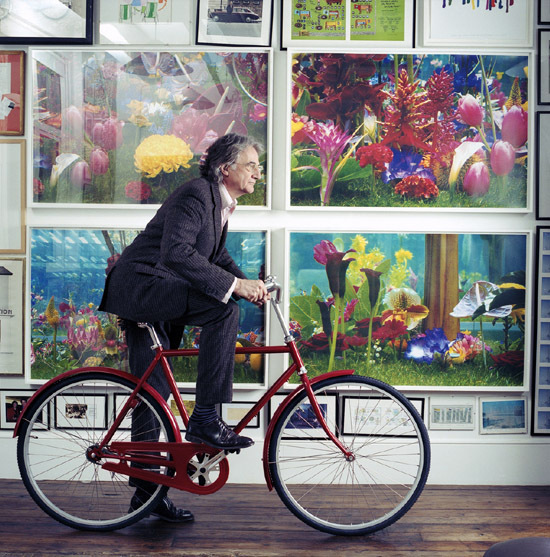 Sir Paul Smith, adore adore adore him has done it to perfection not purely with fashion but also interiors and art. The image below shows his fabulous collection of art â and as you will see the space suddenly has depth, intrigue and interest. So can I encourage everyone to start collecting. Homes are given instant pizzazzÂ and your walls will start expressing your own unique personality. ItÂ doesnât have to cost the earth,Â graduate shows, etsy, ebay, flea markets are all good starting points. I found an old rusty sign at a flea market and Russ (my sisters super doper talented boyfriend) wrote for me in hot Barbie esq. pink lettering a phrase which makes me laugh every time I come into the house â the wife is always rightâ. Itâs a large installation and whenever anyone comes to the house to photograph it they think I have paid the earth! I love it, its quirky, humorous and tongue in cheek.Â Not so sure Graham does but then I am always right and rather than saying it endlessly I can just point now to our beautiful artwork! AlthoughÂ as much as I hate to admit this yesterday I dragged my sister across the other side of town (over an hour in the tube) to visit the trade show Top Drawer only to find I had gotten the day wrong by a week â its on next week instead oops. Plus a few months ago we drove for three hours one way to visit a flea market and unfortunately I got the month and the day wrong â the air I should tell you was a little blue. Hey ho one cannot be brilliant all the time! Sir Paul Smith doing what he does best – mixing styles with a big dose of humour. 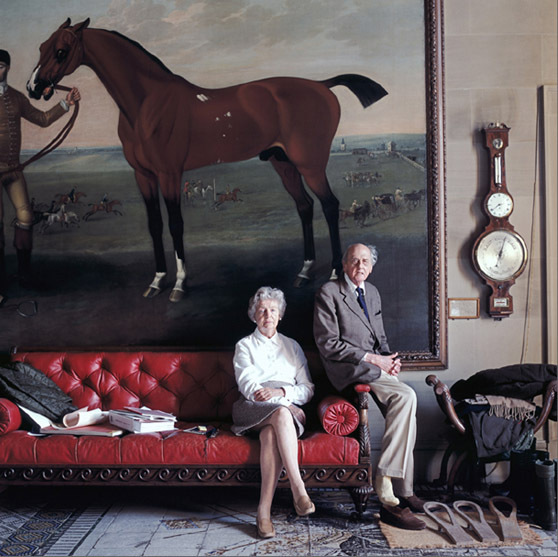 When I have retired, thinking around 90 I want this to be me â perched on a chesterfield with a great big artwork above me and Maud snuggled on my lap.